Kenney Mencher: Night at The Jewseum: Kosher Rhymes and More at The CJM! Night at The Jewseum: Kosher Rhymes and More at The CJM! News and events from The Contemporary Jewish Museum. Celebrate the Days of Awe with good times and kosher rhymes. Legendary Jewish rapper Kosha Dillz and Bay Area beatboxer Kid Beyond perform. Match beats with DJ Alarm, make holiday crafts, write a Reboot Six Word Memoir, interact with G*DCAST’s eScapegoat, drink specialty cocktails, and nosh. Six-Word Memoirs on Jewish Life: Live from The CJM! Imin Yeh Discusses Her Artwork, "Paper Mahjong"
Imin Yeh's "Paper Mahjong" is featured in our exhibition, "Project Mah Jongg." Read her interview with Jeanne Gerrity, Curatorial Associate who worked on the exhibition. The CJM is excited to introduce this year’s Teen Art Connect interns. These fifteen high school students lead tours, assist with family programs, and have administrative apprenticeships. They are hosting a Teen Night on November 25 | 7–9pm. 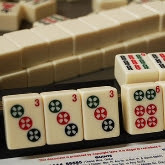 Visitors are invited to play a rousing game of mah jongg in the middle of the exhibition. Reserve your spot ahead of time and please check in at the Shenson Welcome Center to purchase admission tickets when you arrive. An ID is required and held while sets are checked out. Be the first to explore our fall exhibitions! Not a CJM Member? Join today! CJM Members are invited to the Asian Art Museum’s preview day for Roads of Arabia. Show your CJM membership card at the Asian Art Museum's Member Desk for free admission for yourself and one guest. Engage candidates for San Francisco Supervisor on issues important to our community–supporting the positive impact of the arts including our youth and city’s economy. Written by Joshua Harmon and directed by Ryan Guzzo Purcell. Cousins Daphna, Jonah, and Liam are Jewish. But when religious Daphna squares off with secular Liam and his shiksa girlfriend over a family heirloom, they battle it out Old Testament style. 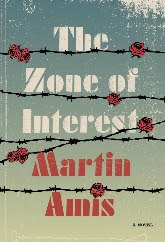 Martin Amis discusses his latest book, Zone of Interest. The sordid brutality of the Holocaust is starkly drawn in Amis’ portrayal of the everyday lives of officers of the Third Reich—a haunting and powerfully told story of breached morality, intimacies, betrayals and defiance. Martin Amis has been listed for the Booker Prize twice (Time's Arrow and Yellow Dog). Major support for The Contemporary Jewish Museum’s exhibitions and Jewish Peoplehood Programs comes from the Koret Foundation. The Museum also thanks the Jim Joseph Foundation for its major support of innovative strategies for educating and engaging audiences in Jewish learning. Additional major support is provided by an Anonymous Donor; Alyse and Nathan Mason Brill; The Covenant Foundation; Suzanne and Elliott Felson; Gaia Fund; Denise Garone and Stuart A. Kogod; The John & Marcia Goldman Foundation; The Horace W. Goldsmith Foundation; Grants for the Arts/San Francisco Hotel Tax Fund; Walter and Elise Haas Fund; Institute of Museum and Library Services; the Jewish Community Federation of San Francisco, the Peninsula, Marin and Sonoma Counties; Maribelle and Stephen Leavitt; Nellie and Max Levchin; the Bernard Osher Jewish Philanthropies Foundation of the Jewish Community Federation and Endowment Fund; Osterweis Capital Management; Alison Gelb Pincus and Mark Pincus; Ruth and Alan Stein; Roselyne Chroman Swig; Target; and Anita and Ronald Wornick. 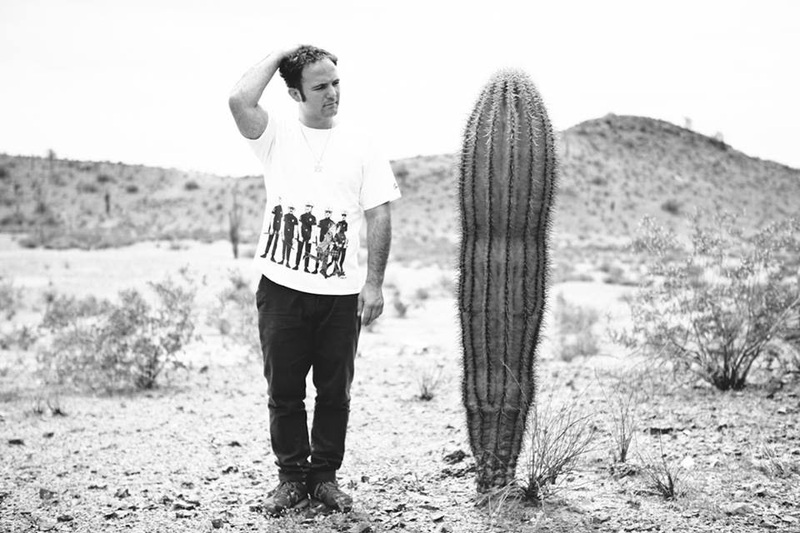 Images from top: Kosha Dillz, photo by Carrie Hasson. Paper Mahjong, Imin Yeh. The CJM TACs, Leah Greenberg. 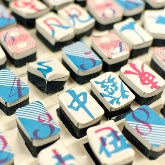 Mong jongg tiles on display in the gallery. 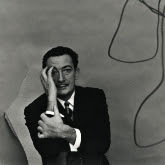 Arnold Newman, Salvador Dalí, painter, New York, 1951. Gelatin silver print © 1951. Arnold Newman/Getty Images. 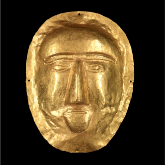 Funerary mask, 1st century CE. Saudi Arabia; Thaj city, Tell al-Zayer site. Gold. Courtesy of National Museum of Saudi Arabia, Riyadh, 2061. Arts Town Hall. 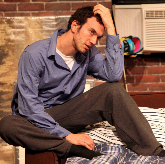 Bad Jews, Courtesy of SF Magic Theatre. The Zone of Interest, Alfred A. Knopf.